Gather your best gal pals and get ready to spruce up your closets! 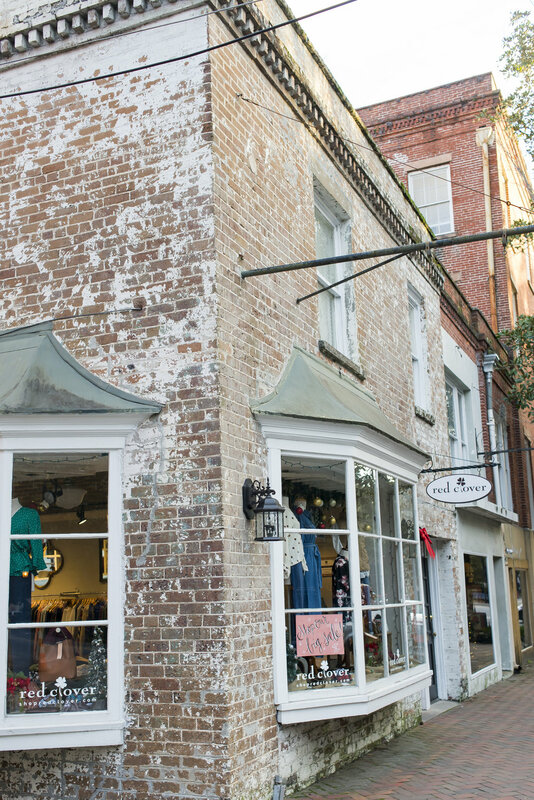 Savannah has no shortage of local boutiques I (Brenna) just know you’ll love. Savannah is the fashion capital of the south - and there are simply too many boutiques to mention here - but these are a few of my very favorites. Each one has a distinct offering and personality sure to enchant even the most discerning of fashionistas. Every fashionista knows that no closet is complete without a good quality leather bag. 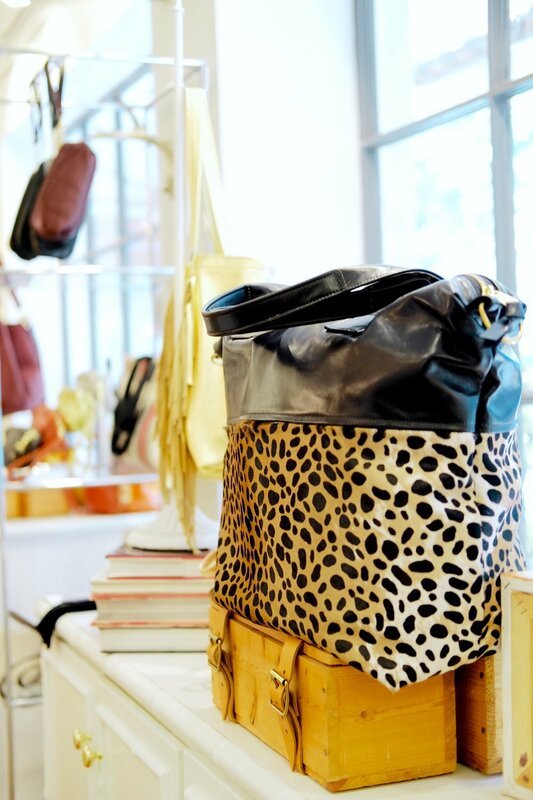 Satchel is owned and operated by a SCAD graduate, and since this custom leather goods boutique is part studio and part store, you can see Satchel’s designers create handmade leather bags and wallets as you shop. Since opening in 2009, pieces from Satchel’s collection have been featured in major publications like Travel + Leisure and Garden & Gun. The designers at Emily McCarthy Shoppe challenge themselves to think outside the box, and the personalized items you’ll find here can’t be found anywhere else. Here, the talented staff can design and add a one-of-a-kind couture monogram or crest on anything from stationary and napkins to glassware and china. Emily McCarthy Shoppe makes bridal shopping a breeze – they carry everything from personalized cutting boards to his and hers bar kits. Adding signature style to everyday items has never looked this chic! This charming shop situated just off Jones Street specializes in all things pretty. From unique and sophisticated home decor, to locally hand-crafted jewelry and art, to cozy and decadent clothes - One Fish Two Fish will not disappoint. It’s nearly impossible for me to step foot in this boutique and not come out with at least one new exciting find. I’ve gotten some of my most unique and luxurious outfits at Harper. Their jewelry, shoe, and bag selection are also super grand. This sweet boutique has never failed to have the absolute cutest finds. With a broad selection from tastefully trendy, to beautiful basics, you really could easily find an outfit for nearly any occasion. The staff at Red Clover is wonderfully helpful and attentive, ready to help you browse the racks until your heart’s content! If you’re looking for clothing and jewelry that’s down-to-earth and eco-friendly, you need to step inside this shared boutique space - Mamie Ruth | M. Liz Jewelry. Mamie Ruth’s clothing is inspired by the vintage, festival lifestyle of the 60s and 70s, like kaleidoscopic prints and fringed denim. Pair Mamie Ruth’s clothing with jewelry by M. Liz, a local designer who appreciates the rough, unpolished look of earthy elements like rose moonstone and African turquoise. A fabulous shopping day doesn’t only have to be about clothing and accessories! The fine chocolates at Chocolat by Adam Turoni are handcrafted and intricately decorated, with each truffle looking like miniature pieces of edible artwork. At this chocolate boutique, the exquisitely designed chocolate truffles are displayed in charming bookcases, making them almost too pretty to eat. Shopping for chocolates at Chocolat by Adam Turoni is truly an experience – you’ve never been to a chocolate boutique quite like this.